I want to extract every single MODIS 16 Day NDVI and EVI Data image on a particular area from 2000 to 2016. I was able to filter image collection but I do not know how to export every single image on the collection. I know that my code is too long and not efficient, but it helps me to read and understand it. 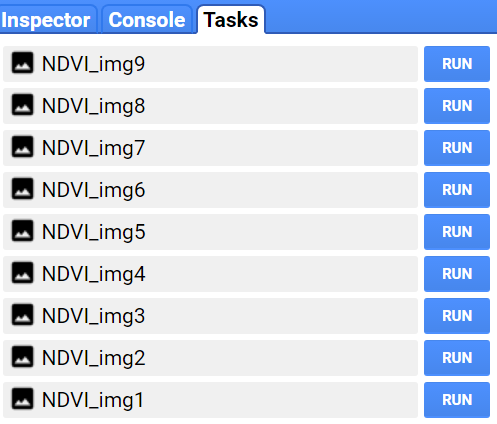 Can you help me to write code to export every single NDVI and EVI image on my image collection? it not efficient,but it works. note:my English is poor ,so i am sorry if i have some expression mistakes. Not the answer you're looking for? Browse other questions tagged remote-sensing modis ndvi google-earth-engine or ask your own question.